In addition to the 645D replacement, another DSLR and a third mirrorless solution (after the Q and K-01), Pentax is also planning to announce an updated ultra-rugged WG camera and a completely new 360 degree digital camera - probably something similar to this Tamaggo 360° imager. 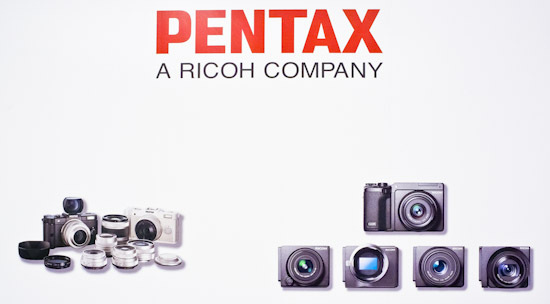 The Pentax WG-2 was the last rugged, waterproof, dustproof, shockproof and sh*tproof camera announced in February, 2012. Recently the price of the Pentax Q dropped by 40%. Maybe the new mirrorless camera will be just a refresh of the Q line and not an entirely new product.